NASA’s Curiosity rover made a new discovery that raises more questions about the possibility of life on Mars. The conspiracy theorists and many other fantastic people of the human population who believe that extraterrestrial life, and life on Mars exists/existed have been gaining significant evidence on their side. 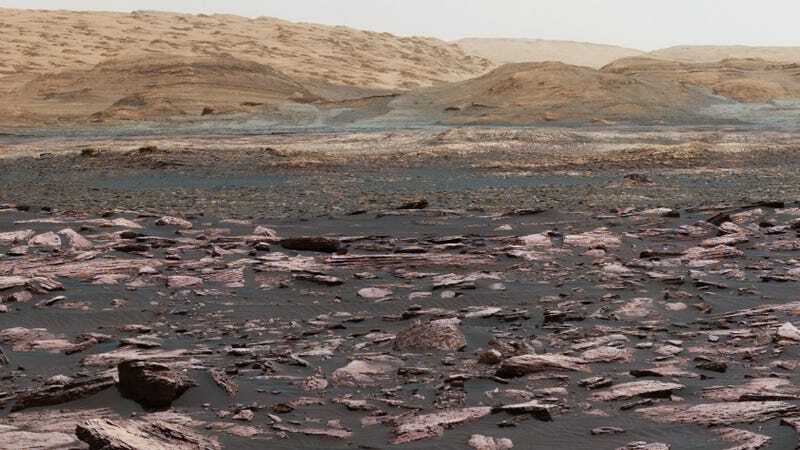 Direct evidence of liquid water has already been found on the surface of this planet, but so far not any microbes yet despite the fact that life on Mars, in theory, has been dead for billions of years. However, NASA’s Curiosity Rover has found new, compelling evidence that advocates the case of life on Mars very strongly. A 3.8 billion year old Gale crater located on Mars, boron has been found. The reason as to why such a discovery is so significant is because boron is an element that can catalyze the formation of RNA (ribonucleic acid that is responsible to carrying the instructions from DNA to proteins) when dissolved in water. Also, the boron that was found on Mars, was discovered in the calcium sulphate mineral veins that present evidence of ancient groundwater. Such a discovery bears the golden star labelled ‘incredibly significant.’ So, water plus boron? Hello life! In case you haven’t caught on, all of this means that the conditions of this crater were highly favorable towards containing life. Currently, hopes are that NASA’s 2020 rover will find more answers in its grandiose cosmic adventures. Los Alamos National Laboratory claims that the rover will be equipped with a “SuperCam” that will be capable of “searching for signs of past life” on Mars. Perhaps we shall send a greeting card to extraterrestrial life located on Mars with the rover when it departs?